This Corvette is arguably one of the most perfectly restored Corvettes available today. This car had a No expense spared, Frame off, Nut & Bolt Rotisserie Restoration. Every screw and nut is turned the right way and everything looks better than it would have when it rolled off the assembly line new. The body is laser straight and the paint is flawless. The Undercarriage is without question best described as perfect. The Restoration started with a true 36k mile car and took over 2 years to complete and nothing was overlooked. Words and pictures cannot describe the Pristine quality of this Corvette. Every Number and Date code has been verified and checked. Everything is correct as from factory. from front to back, top to bottom everything is numbers matching and correct. This car has only been driven around the block on perfect days to make sure it continues to stay in perfect mechanical condition. If you are a serious collector or you require the Best of the Best, than this car is for you as they simply don't make them any nicer! 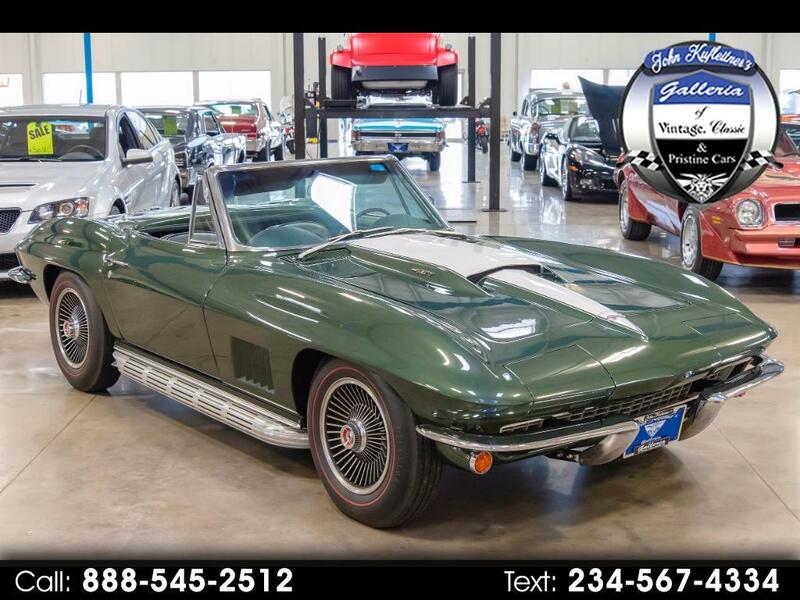 There were only a few 427/435hp Corvettes made so don't miss your chance on becoming one of the fortunate individuals who can say they own it and reap the rewards as these cars are going to keep going up in value. As with any classic car I recommend that you fly in and see it for yourself in person but you can rest assured it is nicer in person as the pictures just don't do it justice. I have stated that is Pristine and it is just that. No Excuses with this car, Everything works and it drives like it looks. This is a stunning #1 car.